Experience an enchanting evening of Irish folklore, storytelling and music while enjoying a candlelit traditional Irish dinner in Dublin's oldest Pub, The Brazen Head. When you considering things to do in Dublin, this particualr evening is guaranteed to make you fall in love with Ireland.  The Brazen Head. If you are considering this to do in Dublin, then let us take you back in time to the fascinating world of Ireland long ago when the culture was one of the mind, spirit and the imagination and where the unseen world was never far away. With many things to do in Dublin, then these highlights will wet your appetitie as your experience magical evening of Irish Folklore, Story Telling and Music. Listen to the magical stories they told as they gathered around the fire at night. 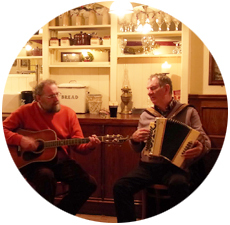 Enjoy live traditional Irish music and ballads with dinner. 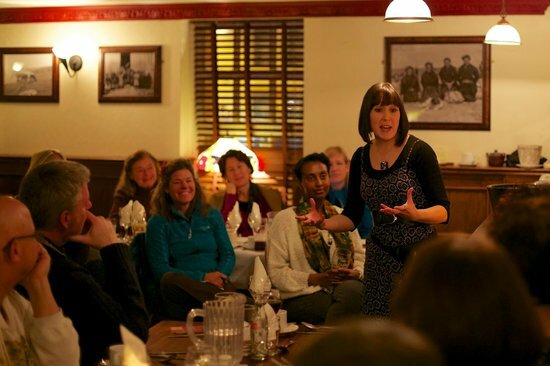 As you relax between courses of a wholesome traditional Irish dinner, our renowned storytellers takes you into a world of the imagination with wonderful insights and mystical tales about Irish life in times past. "A delightful introduction to Irish history and folklore. Most enjoyable. David Harrison, Historian"
"There are few attractions in the world that so cleverly mix history, storytelling, food , drink people and song. it was an absolute joy. Monica Powers USA"
"This is one of the best evenings I have ever had of storytelling. It’s a feast go and enjoy. Richard Basch Travel writer"
We are a 5 minute walk from Christ Church Cathedral. When you visit Dublin An evening of Irish Folklore, Storytelling and Music unfolds over a candlelit dinner in an intimate setting above Dublin's oldest pub, The Brazen Head. Just 5 minutes walk from Temple Bar, this historic pub is located right in the heart of historical Dublin. The low beamed ceilings and old fireplaces give a warm atmosphere to this place, creating a perfect setting for this enchanting evening of Irish Folklore and Storytelling. The Brazen Head is well regarded for its wholesome Irish food. It is also one of Dublin’s best live-traditional music venues, ensuring a genuine Irish pub experience to compliment this wonderful evening of Irish folklore. The evening is a wonderful introduction to Irish folklore for any tour group who wish to visit Dublin. It will enrich their experience of Ireland by bringing to life the history of the people and connect them to that older Ireland that so many want to experience but find more and more difficult to do so in today’s modern age. Irish Folks Tours are happy to custom design the evening around your needs when you visit Dublin. For example they can give just one talk focusing on storytelling and then have Irish dancers come in and perform for your group. Your guests are then free to make their way downstairs and enjoy the live music in one of Dublin’s best known traditional music venues. The evening is the perfect option for a staff night out with a difference or for any company entertaining overseas clients who might visit Dublin. It allows Irish people to reconnect with their heritage. It also helps any overseas employees or clients gain a greater understanding of Ireland’s past and how this has helped to shape the character and culture of Irish people today. The evening can also be custom designed around your needs. For example we can just do one talk that focuses on the storytelling and then have Irish dancers come in to entertain your group and even get some of them up to dance! 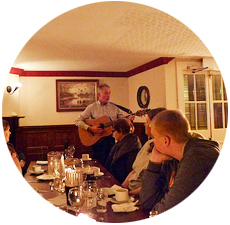 If you have a group that would like to attend the evening Irish Folk Tours will be happy to look after you.